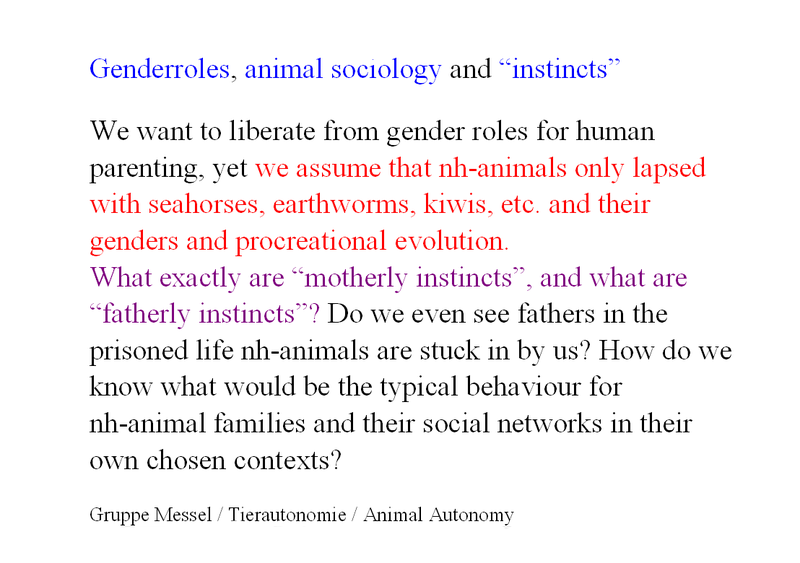 We want to liberate from gender roles for human parenting, yet we assume that nh-animals only lapsed with seahorses, earthworms, kiwis, etc. and their genders and procreational evolution. What exactly are “motherly instincts”, and what are “fatherly instincts”? Do we even see fathers in the prisoned life nh-animals are stuck in by us? How do we know what would be the typical behaviour for nh-animal families and their social networks in their own chosen contexts? 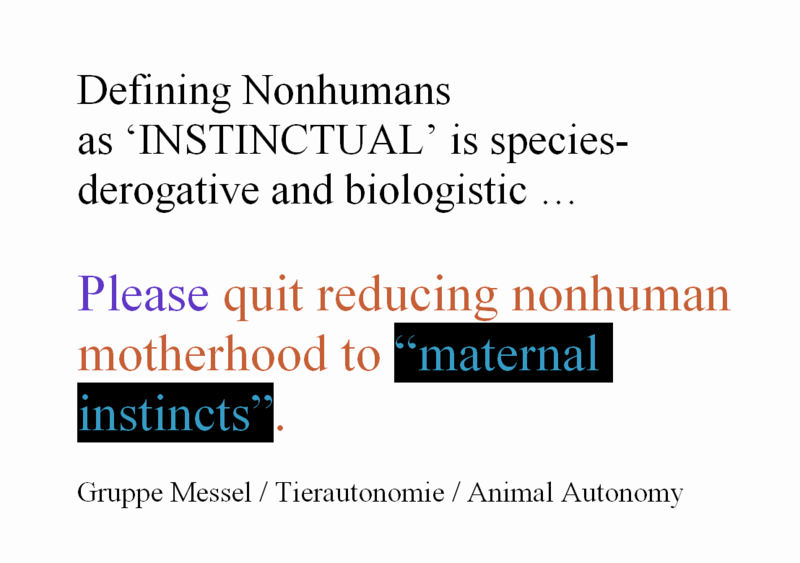 Please quit reducing nonhuman motherhood to “maternal instincts”. 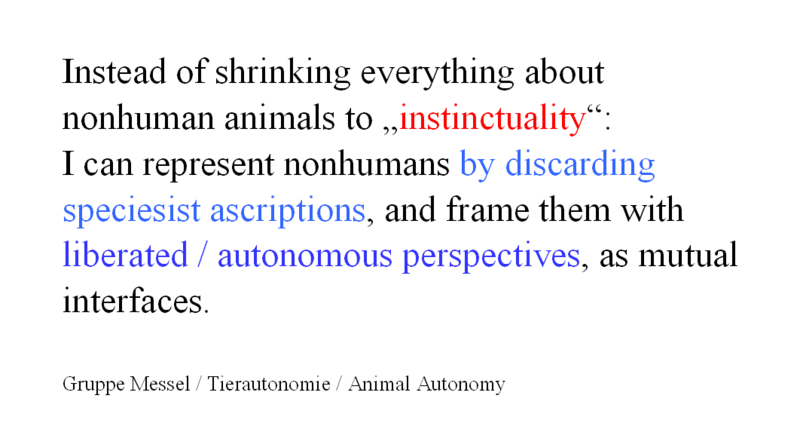 Instead of shrinking everything about nonhuman animals to “instinctuality”: I can represent nonhumans by discarding speciesist ascriptions, and frame them with liberated / autonomous perspectives, as mutual interfaces. 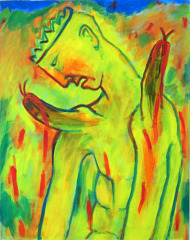 “Solidarity: all terms of solidarity still purport the first and most basic solidarity between all humanity (i.e. of “the human”) against nature. Such a solidarity of one against everything else is yet never allowed amongst humans themselves. 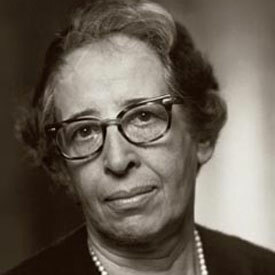 But there is no such thing as a necessity of solidarity. The idea of us all “sitting in one boat” is an example of this wrong idea of an absolute solidarity. The great thing about fairy tales is their bridge to mythologies. They both work with imagery. A language stronger than words. It’s the 200th B-day of Grimm’s Fairy Tales, most of the tales were passed on from Dorothea Viehmann a Huguenot. A nice task for anyone into anthropology, philology, animal rights and history would be to do some research and give some insight into how animals play a role in folklore fairy tales. In the wider context … an interesting difference between the Grimm’s version of Cinderella, the tale is called Aschenputtel in German, and the later Disney version of the tale, is, that in the Grimm version the doves inhabit the place of the miracle helpers, that is taken by a fairy later in Disney’s movie. Although Noroviruses cannot grow outside the body, or in food itself, an infected person easily contaminates any food they come in contact with – as well as any other surfaces. Contaminated food can then infect several people at once. BETTER HYGIENCE AND ABOVE ALL A VEGAN DIET SHOULD HELP US ALL!!!!!!!! What a creepy history that is. 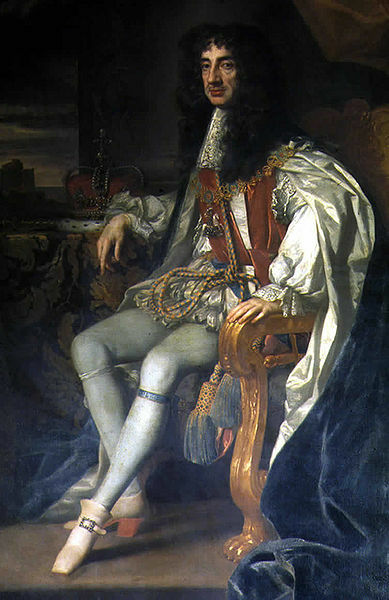 The question remains open how big of a role a religious understanding plays a role in upholding monarchy and aristocratic entitlements as a “natural” yet god given hierarchical societal order, or if it’s the plain interest of a conglomerated group to hold their interests in power in one hand, with one center of power. Came across this interesting finding by Prof. Marija Gimbutas on the meaning and origin of “Hulda” as in the tale “Mother Hulda”. What I find striking about specifically the tale “Mother Hulda” is that no princess and princesses play any role in it. Also there are no male protagonists, apart from that. The entire narrative is one happening amongst women and other entities and phenomena (the tree, the oven, the house, the snow, the well, the gold, the garden). Anyway I checked out more info about Prof. Gimbutas and was amazed at her body of work and her approach of what she calls “archeomythology”.